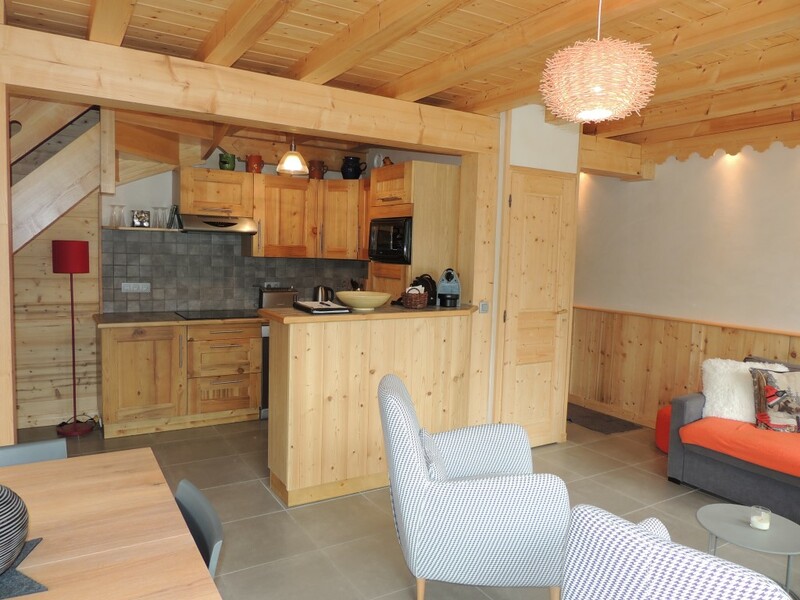 This duplex apartment is in a recently built, secure residence (2012) in an ideal position in the very centre of Les Gets right beside the ski slopes and all the amenities. 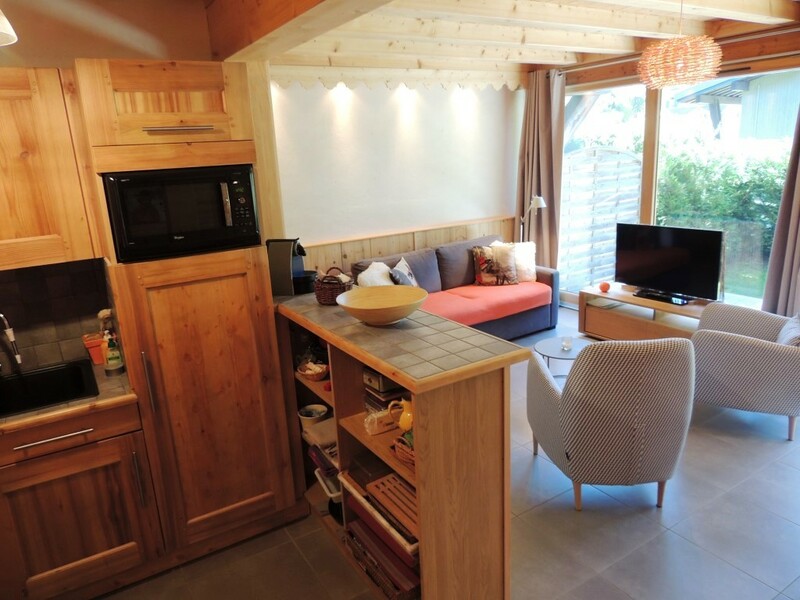 It has a large living area with picture windows that open onto a 15m² terrace and a garden. 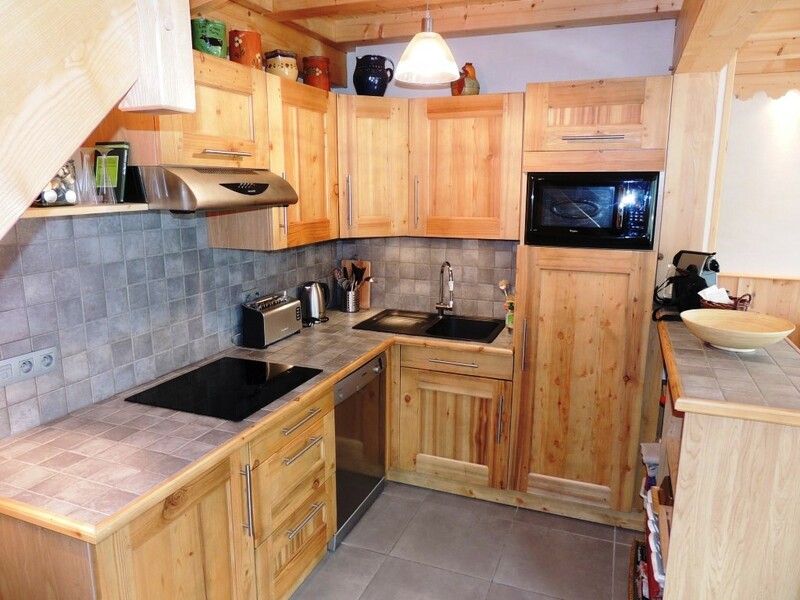 The apartment is well supplied in cupboards and storage areas and it is sold with a covered parking space and a roomy ski locker. 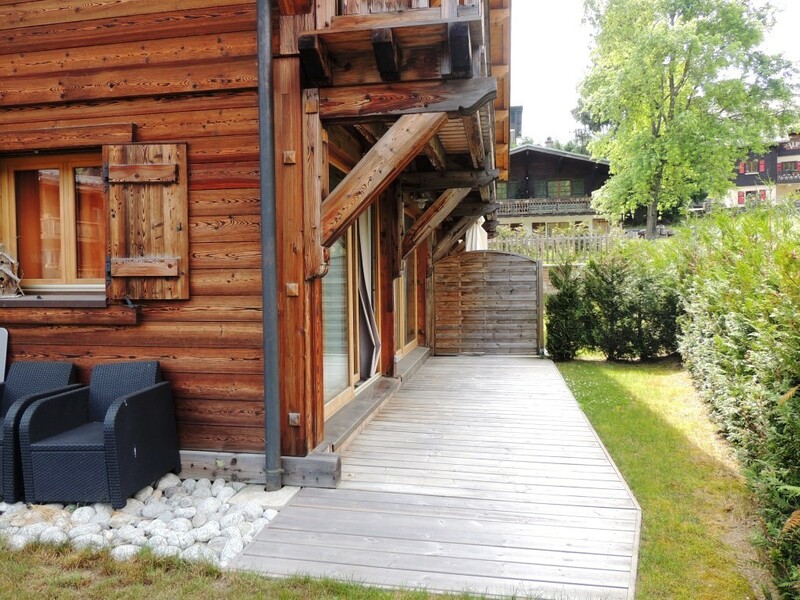 A property like this, right in the centre of Les Gets? Unheard of - come and visit it right away! A large sitting/dining room with picture windows opening onto a 15m² south-west facing terrace and a 40m² garden. The kitchen is open plan and fully equipped. Upstairs are two bedrooms with mansard windows, each one includes cupboards; also a bathroom and a separate WC. "Sincere apologies from Heather and me for being so late in thanking you for your assistance in purchasing our new property. We are truly grateful to you for facilitating the process and have already pointed friends in your direction." "Thank you both so much. You have been brilliant. Can't wait to get out there and start enjoying our new home. See you soon and hope you have a great Christmas." "Thanks again for all your help, you've been amazing and made the whole process super easy. Thanks again for everything." 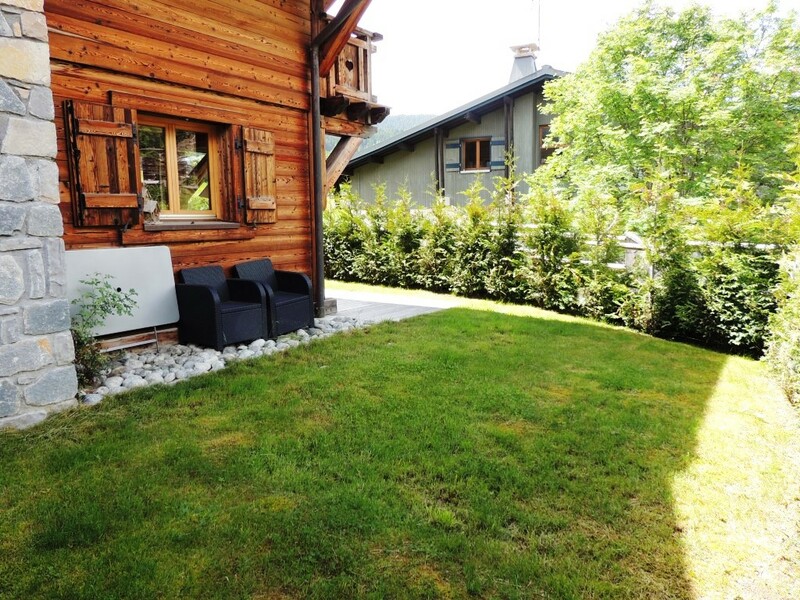 Arguably the prettiest resort in the Portes du Soleil Les Gets is nestled on the col between Samoens and Morzine. 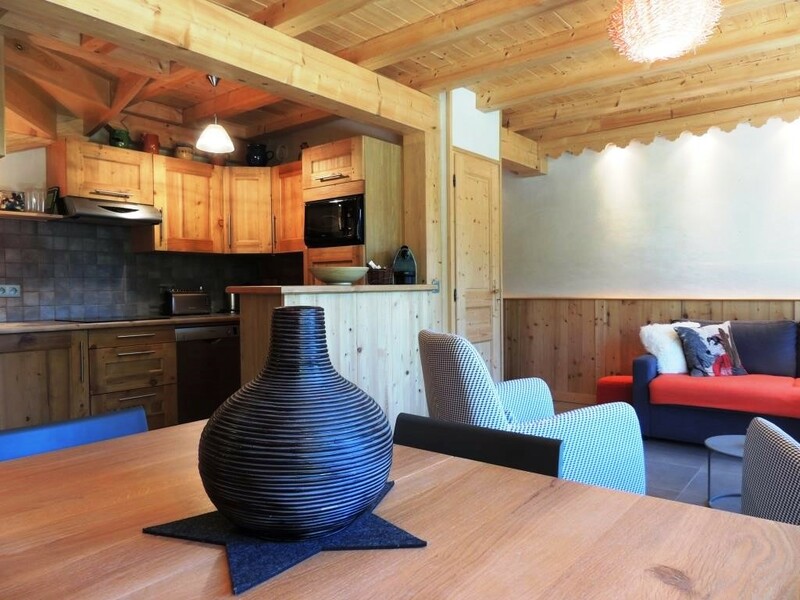 It’s a high altitude resort at 1172m with beautiful traditionally styled chalets dotted on its slopes amongst fir trees and alpine meadows and is only an hour or so from Geneva airport making weekend breaks and short stays a possibility. The centre is home to a variety of shops, restaurants, bars and historic buildings and has a lovely village square which hosts a lively weekly market that attracts locals and tourists alike. The restaurants range in price and so there’s something to suit everyone’s purse and the cuisine is largely of the traditional Savoy style. Twice a year the streets are filled with the sounds of barrel organs and street buskers as Les Gets hosts a festival of Mechanical Music. There’s also the Mechanical Music museum which is open all year round. In March Les Gets also plays host to part of the Rock the Pistes Festival, a lively 5 days of rock and pop music on the slopes and in resort centres. Les Gets has two ski areas Mont Chery and Les Chavannes. Mont Chery lies on the north side of Les Gets facing the Mont Blanc Massif with some fantastic views and a snow park for freestylers. Les Chavannes is on the south side and it interconnected with the rest of the Portes du Soleil ski area opening up 650km of varied piste for skiers and boarders to explore. The runs on Mont Chery and Les Chavannes are mostly blue and red in difficulty and so this is an ideal place for intermediates. There are a few blacks for advanced skiers and boarders to test their skill. A good place for off piste skiing is a short hike from the top of the Ranfolly lift, there you’ll find a bowl which, after snow fall, is the place to go for perfect powder conditions. There’s also a range of other winter sports to try out in Les Gets such as ice-skating in the outdoor rink, snow shoeing, dog sledding, flying down the slopes on a Yoona and ski joering, which is being pulled along on your skis while holding onto a frame attached to a horse. 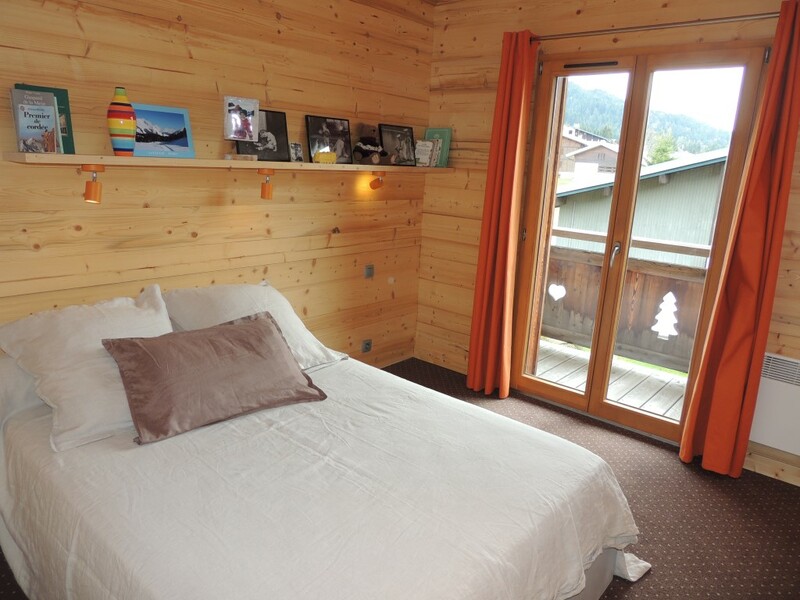 Les Gets is well known for its family friendly status and is a certified “Family Plus Mountain”. They put a great deal of effort to welcome and accommodate the little ones. There is a special children’s ski area called Le Grande Cry which has a cowboys and Indians theme and they also hold weekly treasure hunts. Les Gets is a lively mountain town in the summer months. With lots of activities going on, amazing scenery and a friendly atmosphere it’s a great place to be in the summer. Being part of the Portes du Soleil, mountain bikers flock to Les Gets for its fantastic range of downhill trails and tracks. Mont Chery has been used numerous times to host rounds of the Mountain Bike World Cups and Mountain Bike World Championships. But you don’t have to be an adrenaline junkie to take part as there are plenty of gentle trails through alpine meadows and beside the lakes which offer the perfect place for a cooling swim and a picnic. If you’re new to mountain biking, have children or just want to find out where the best trails are there are several mountain biking schools which will be all too happy to help. You can also go hiking and stay overnight in a mountain hut, pony or donkey trekking, have trampolining lessons, go climbing, paragliding, fishing and rafting. For the little ones there’s La Sarre farm where they can become apprentice farmers for the day, the Little Train which pootles around the resort and even chocolate workshops. Golf enthusiasts can spend a relaxing day at Les Get golf course, an 18 holed par 70 course overlooking the stunning Mont Blanc Massif. And if that’s not enough relaxation for you there are several spas and beauty salons where you can truly unwind in wonderful tranquil surroundings while the children play happily at the day-care centre.